We specialize in all odd jobs around the house. Let us help you check off your “to-do” list. Ask to see our extensive lists of references. Let us help you create the home of your dreams. Our Mission is to provide high-quality craftsmanship to families and individuals throughout the Dallas-Fort Worth area. Our Premise is that Competence, Cleanliness, Courtesy, and Timeliness make any project a pleasurable experience for all parties involved. Our Experience enables us to provide a diverse range of services. Do You Need Drywall Repair Due To Water Damage? Do you need someone to install and finish or repair and patch your drywall? We perform all phases of drywall finishing: sheet installation, taping, and textures. Whether your project is in preparation of painting or you just need some damage repaired, not only do we have the experience to do the job well, we have the courtesy to keep the entire work area clean and dust free. Our technicians are experts in matching existing textures. We can make your walls look the way they did before the imperfections appeared. Charles Martin and Son Roofing provides a wide range of painting services. We will meet with you one-on-one to discuss your needs. After the initial consultation, we make sure to give you a reasonable rate and the best solution. 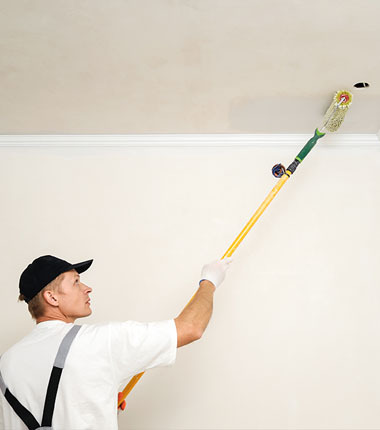 Please don’t hesitate to call and ask us about any of our painting related services. We welcome inquiries on all projects large or small; we are grateful for the opportunity to let you know about the benefits of doing business with us. We will assist you with every aspect of your residential painting project to ensure that we achieve the exact results you demand. Call us today to schedule your FREE in home estimate! Charles Martin & Son Roofing has taken the time to educate their associates and has earned the CertainTeed Credential of ‘ShingleMaster’ company. This credential gives Charles Martin and Son Roofing the ability to offer extended warranties with CertainTeed Roofing Products. Questions to ask when choosing your roofing contractor. 1: Are you insured? 2: Do you have a Letter of Financial Security from your bank? 3: Do you have a Materials Supplier letter? 4: Do you have references that I can request? You can request a custom quote for your general carpentry needs.